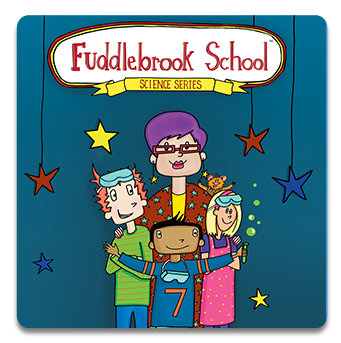 The Fuddlebrook School Science Series is not about traditional scope and sequence or mastery of each and every one of the earth, life, and physical science concepts explored. These books are about building a science vocabulary, developing a love of science and literacy, and beginning the building process of expanding science understanding. Fuddlebrook is geared for children ranging from K to upper elementary with each level taking away something different. The books, because of the robust science vocabulary, are written on about a 3/4 reading level. Shared reading/activities are encouraged for all ages! And the list goes on...we learn about new ways all the time when we talk to parents or teachers! Access to the digital book library is available to those who purchase a five year license agreement. Each digital a license key code provides access to one user at any given time. It is not designed to serve as a site license. Digital book access allows you to project your book on a whiteboard or screen for easier viewing. It is also convenient as it can be accessed from any computer so you don't have to carry books from room to room or site to site. This feature offers access (login through the Fuddlebrook website) for five years from date of purchase. Some educators worry about repeating stories--ie., if you read the stories in kindergarten, you can't read/use the Quirkles or Fuddlebrook stories again in first grade. To the contrary, research shows vocabulary and concepts are deepened with repetition! Children will take things they have learned since the initial exposure to add richness and additional meaning. Or, go back and forth between the two series for variety. The Fuddlebrook School series, does not offer phonemic alliteration and is geared for slightly older children than your youngest of Quirkles learners (k-5 rather than pre-K). With fun stories, great illustration, and science experiments, this 26 book series offers you another alternative to make science learning come alive! 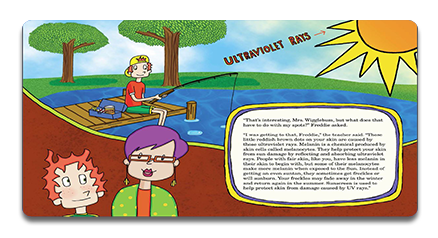 Some of the science concepts will be the same, other Fuddlebrook books offer entirely different science concepts. Some educators worry about repeating stories--ie., if you read the stories in kindergarten, you can't read/use the Fuddlebrook series again in first grade. To the contrary, research shows vocabulary and concepts are deepened with repetition! Children will take things they have learned since the initial exposure to add richness and additional meaning. 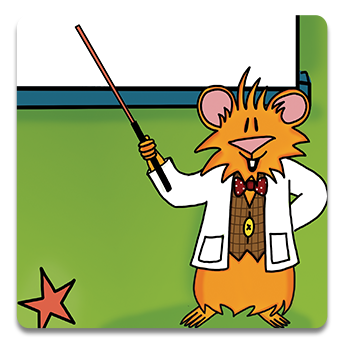 Or, check out our other science series, The Quirkles, for more fun science stories/ adventures. These books offer phonemic alliteration and can be geared for slightly younger children as well. With fun stories, whimsical illustration, fun alliteration and different science experiments, this 26 book series offers another alternative to make science learning come alive! Materials can be purchased through an organizational purchase order that is phoned, faxed, or mailed in. Or, you can use the convenience of our online store via this website. Missouri tax exempt customers should NOT use the online store as tax will automatically be computed. We also accept phone, fax, or mail orders using all major credit cards or check. Shipping charged in the continental US will be 10% of the total order. Shipping to Hawaii, Alaska, or Puerto Rico will be 15% of the total order. Outside the US, contact us to determine the most cost efficient shipping method. Standard shipping is usually via USPS or UPS and normally takes from 3-7 business days depending on the size/nature of the order. Most orders are processed within 24 hours after receipt to us. Thoroughly review our website as there is a lot of Fuddlebrook information available. Want to see some of the experiments? There are links on our resource page/monthly newsletter. Click the YouTube icon throughout the website to be introduced to both Fuddlebrook and Quirkles and see activities/experiments demonstrated. Subscribe to our e-newsletter (icon throughout the website) to be alerted to our montlhly resource page that offers all sorts of great information. Follow us on our various social media sites for more updates and ideas. Still need more? Email at info@fuddlebrook.com or call us to review materials, get standards, have printed materials mailed, or to ask your question! Yes. We do these when we can, subject to availability/scheduling issues. Costs vary depending on where you are located and what your specific needs are. Contact us at info@fuddlebrook.com with your specific request/questions. If you will email at info@fuddlebrook.com, and let us know which state and grade level, we will send you specific state science standards, Next Generation Science Standards, or Common Core alignments.